Dream Back To The Qing Dynasty 梦回大清 (lit.) 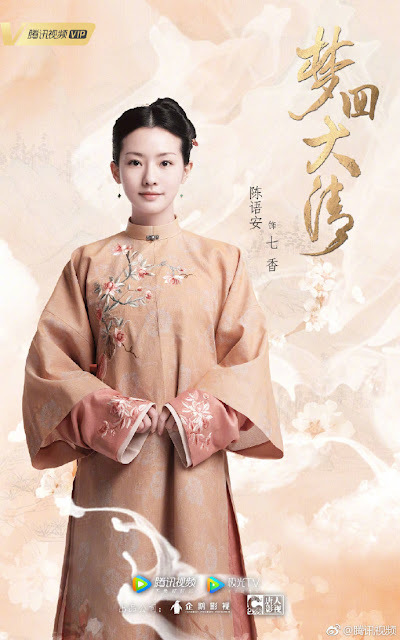 is a Chinese drama about a woman from the 21st century who gets lost in the Forbidden City and finds her way to the Qing Dynasty. Produced by Tangren Media, the creators of Scarlet Heart, it returns to the period under the reign of Kangxi Emperor. I'm really satisfied with the costumes so far. My uncle had a clothing store before so I'm used to looking at the little things like design, embroideries, buttons and accessories and so much detail seemed to go into the making of these costumes that it feels like a piece of history. 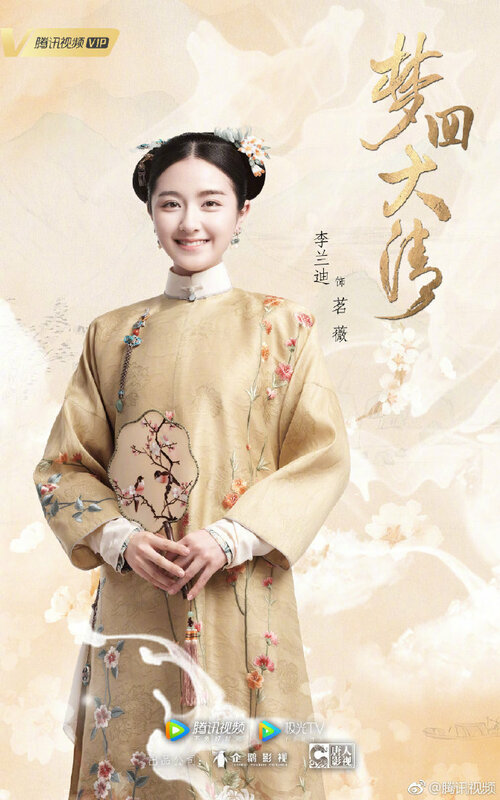 Young actress Li Landi looks gorgeous with her flower themed golden robe. It exudes an aura that is both refreshing and light. 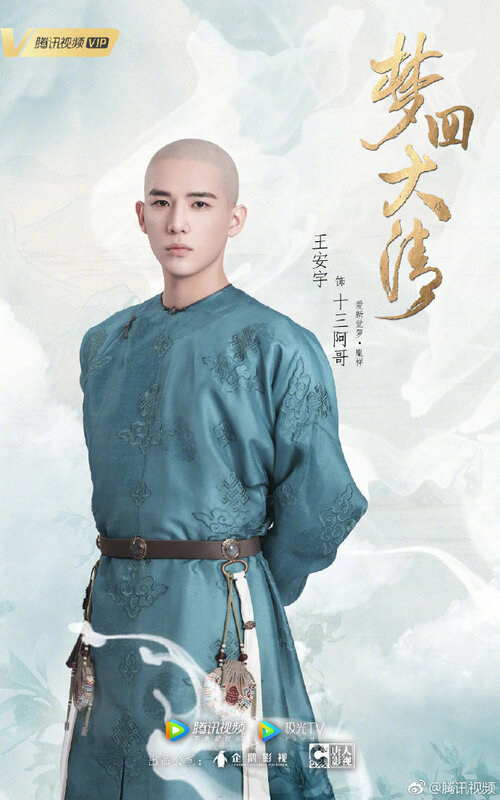 Wang Anyu who plays the 13th prince looks quite dignified in his blue longpao. His gentle face and outfit makes me think of him as an introverted scholar of sorts, but he is actually the warm and passionate one. His accessories flawlessly match his attire as well. 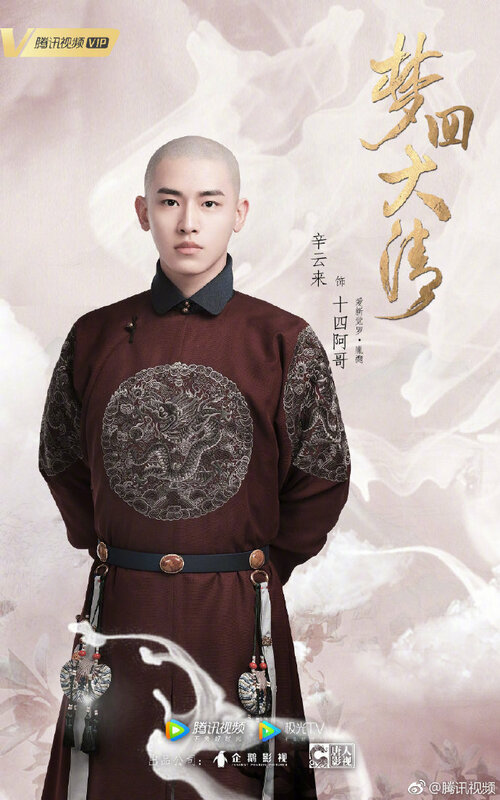 Xin Yunlai plays the 14th prince and unlike Wang Anyu's bluish longpao, Xin Yunlai's attire is bolder, darker and generally gives off a powerful and serious vibe. The intricate dragon embroidery looks to be well made. Sun Anke looks stunning in her pomegranate gown. She really looks like a princess with an air of nobility and grace around her. The detailed designs on her gown match her hair accessories. The pastel flowers in the background are also a nice touch, adding a hint of grace and beauty. 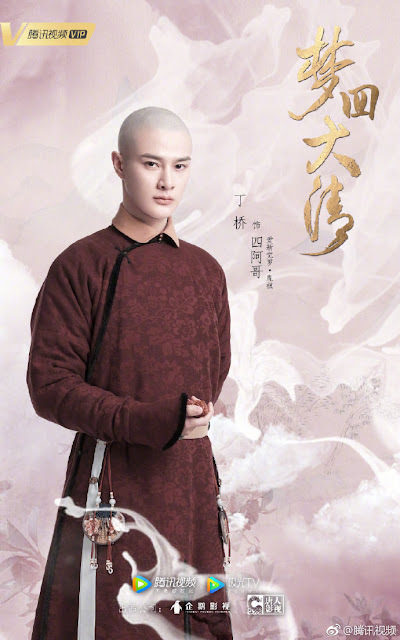 Ding Qiao as the 4th prince channels his cunning and mysterious side. He costume strikes me as more mature and conservative with a dash of guile. Chen Yuan wearing her robe reminds me of a good and responsible younger maiden character. With barely any accessories, her robe hardly stands out but at the same time, it's still very easy on the eyes. 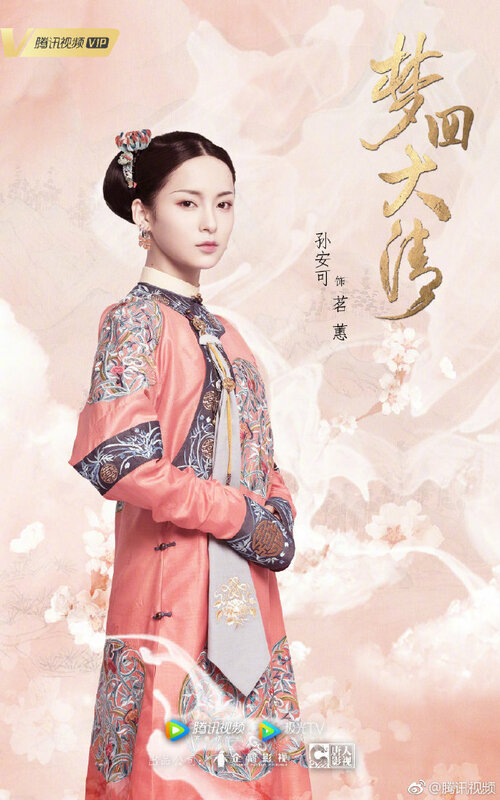 Zhang Leyun's costume has exquisite embroidery. The pink gown matches nicely with her white accessory. Zhang Leyun looks like a bright and bubbly teenager who gives me a feeling that she is excited to know about the outside world. 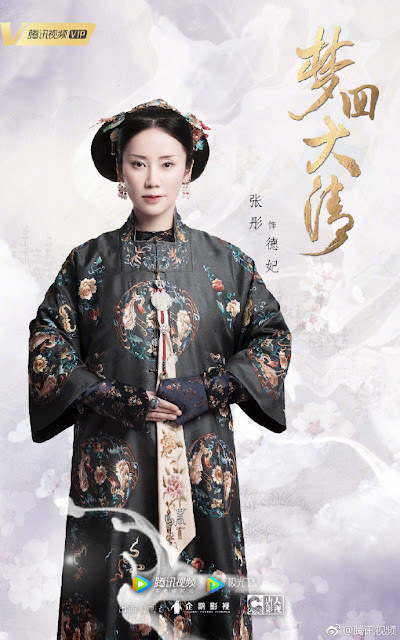 Zhang Tong as Consort De is very regal in her poster. Her gown is lavishly gorgeous and suits her very well, perfect for the image of a woman in power. 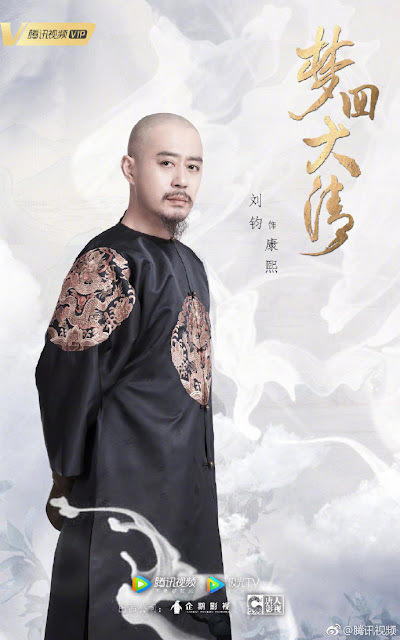 Liu Jun in costume is an image of a ruler aged with wisdom and strengthened by time. The gold dragon on his robe is noticeably detailed and gives Liu Jun a more imposing and regal aura as the Kangxi Emperor. 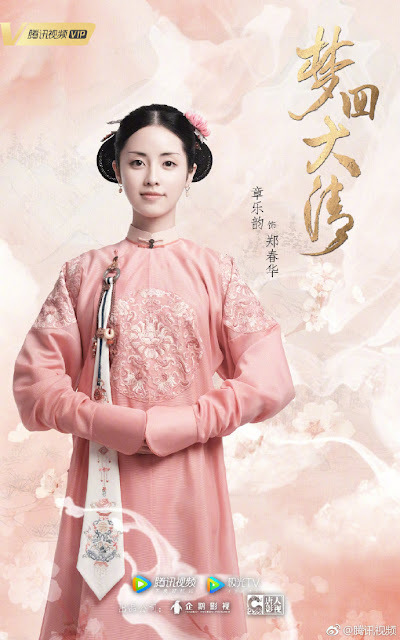 better show it soon before uncle NART(or whatever they call now) as rumors has it there is a ban(reduction) on palace drama ...gosh with all these banning left and right.. pretty soon we won't have c-drama left to choose sad...the creativity already low now it will be reduce 0.